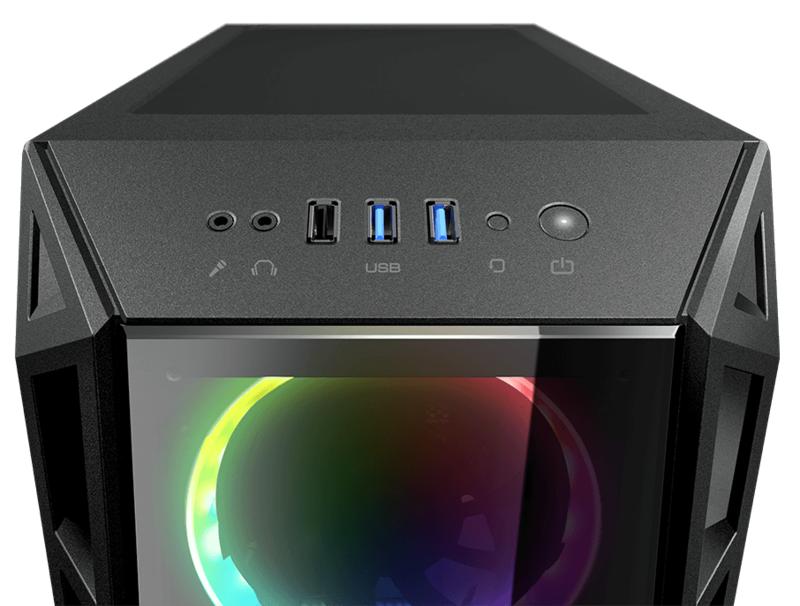 TURRET RGB is an affordable case with top-notch specs. 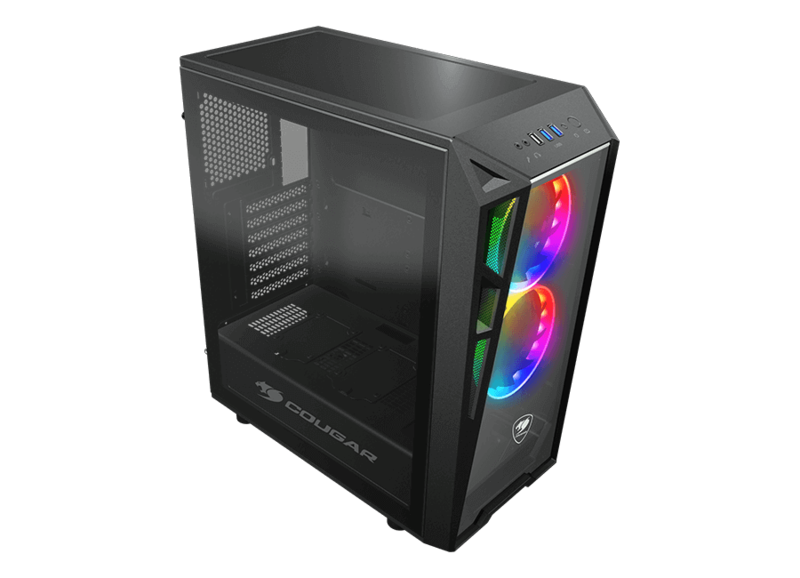 It sports an attractive and compact design with a tempered glass window and includes two powerful Vortex RGB FCB 120 fans. 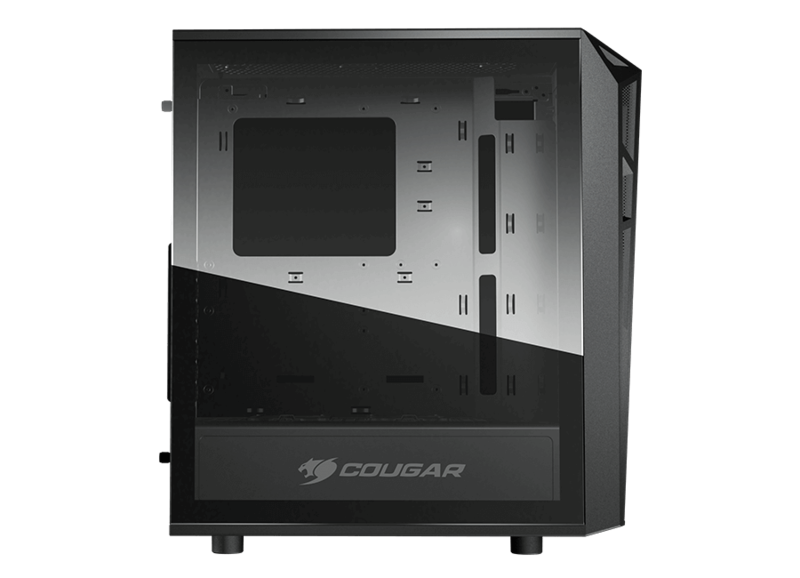 It supports up to three radiators and has a Gaming Vent system to guarantee excellent airflow. 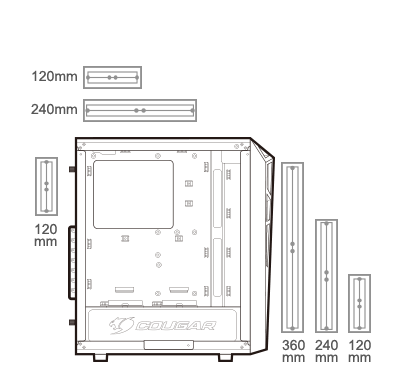 It also allows you to install up to three 350mm-long graphics cards. What else can you ask for? 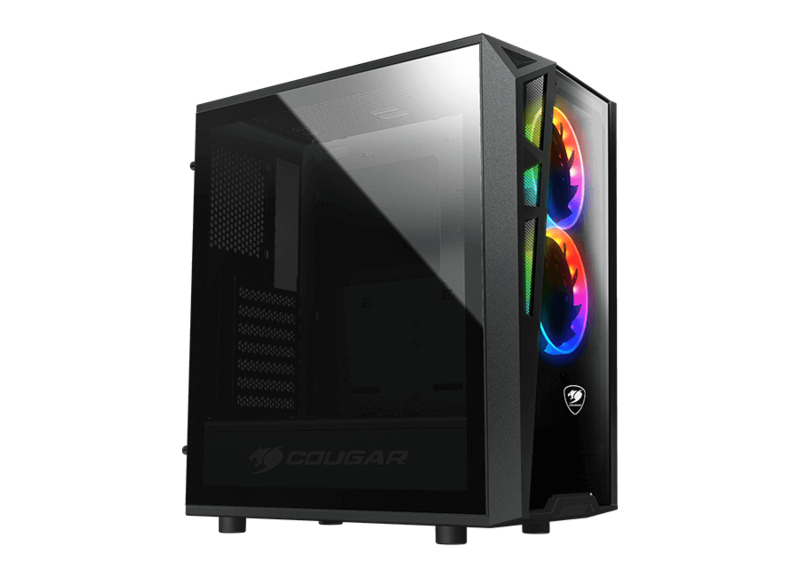 A full-size tempered glass cover and the transparent front cover give you a perfect view of your computer’s internal components, and allows you to put on display your skills and set up amazing RGB lighting effects in it! 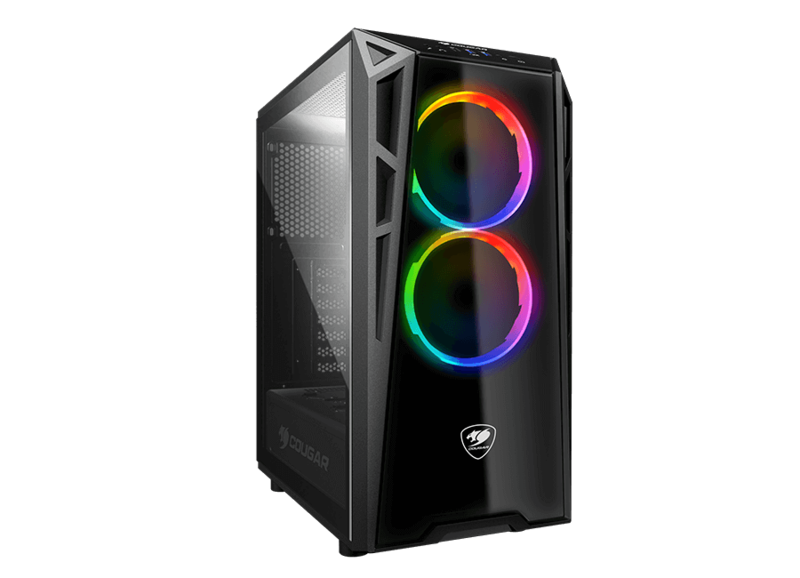 The two pre-installed Vortex RGB FCB 120 fans combine the patented Vortex technology’s powerful and focused airflows with COUGAR’s new generation addressable RGB lighting design that radiates light in a 180º angle. 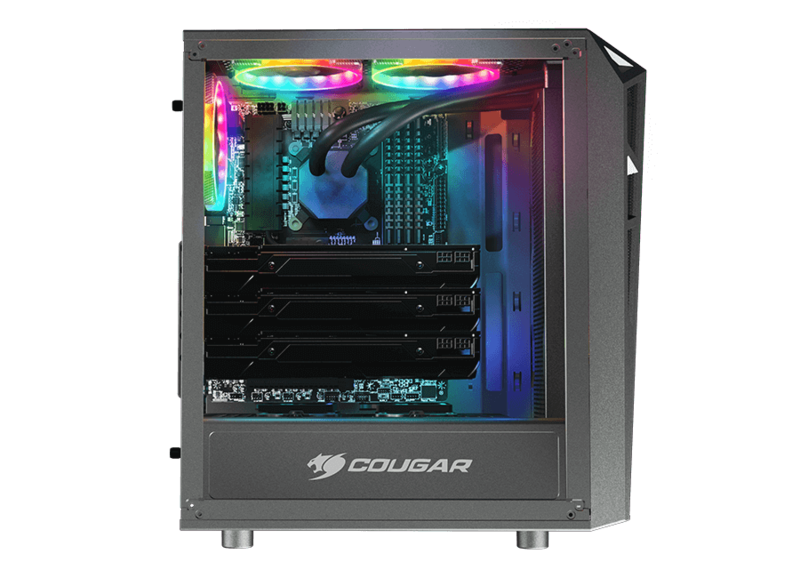 TURRET RGB includes the COUGAR Core Box C, a powerful RGB lighting control box for up to 8 COUGAR fans and 4 COUGAR LED strips. 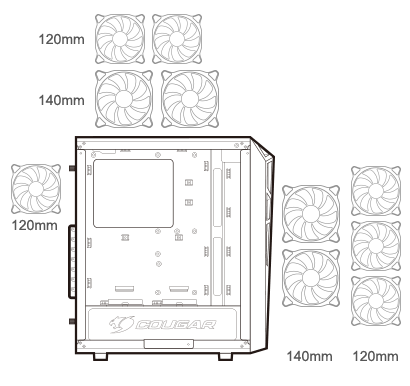 Control your fans with the case’s dedicated Lighting button, or connect the Core Box C to compatible motherboards‘ 5v RGB header for system-wide synchronization. 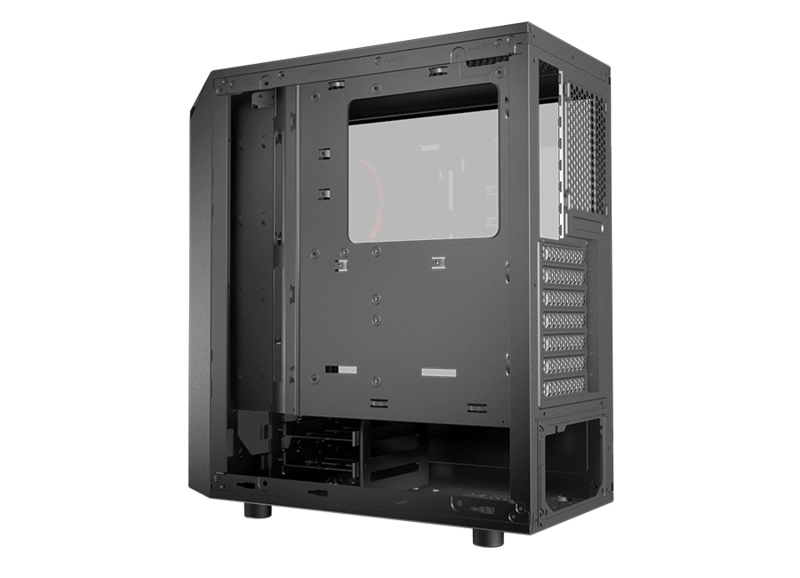 With support for six fans and three radiators (including a frontal one up to 360mm), you will be able to build a solution that guarantees all your key components are protected from overheating. We know gaming generates heat. 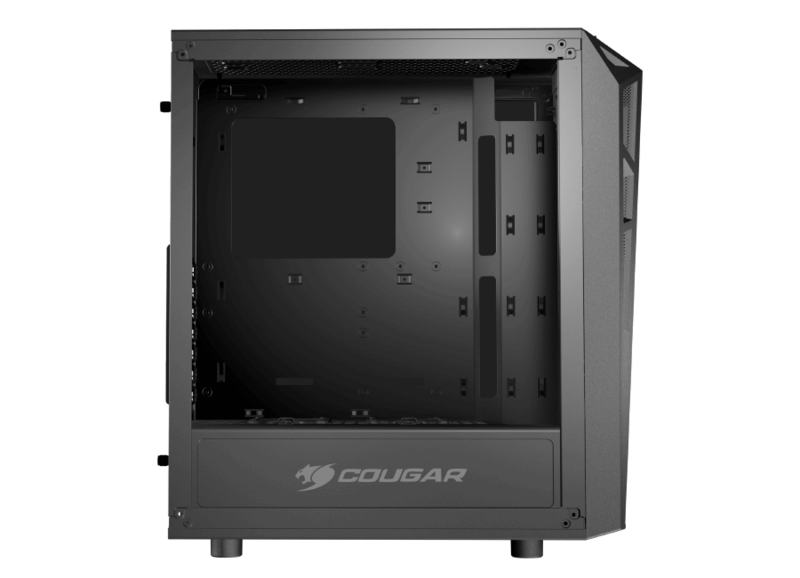 To guarantee plenty of fresh air for your components, we have endowed TURRET RGB with a Gaming Vent System. This allows air to come in and out of the case with ease. 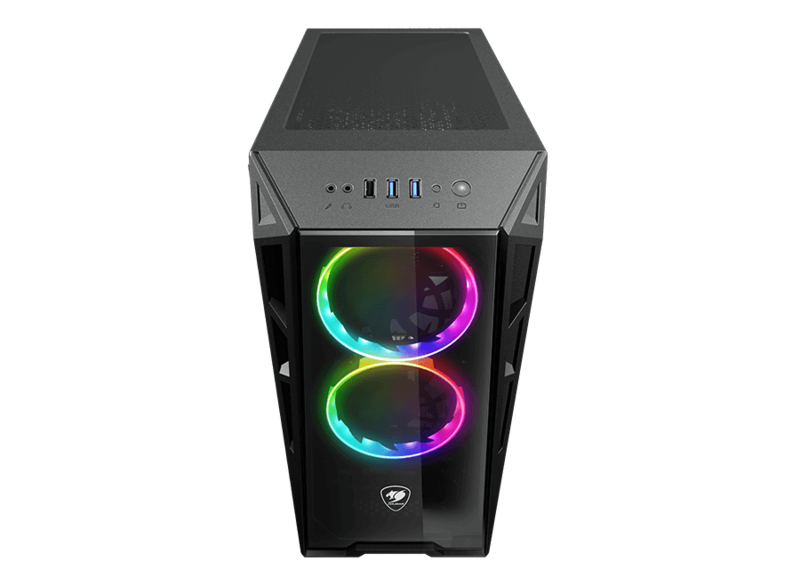 With support for up to three 350mm long graphics cards, TURRET RGB can house all the power you need to run the latest games smoothly.